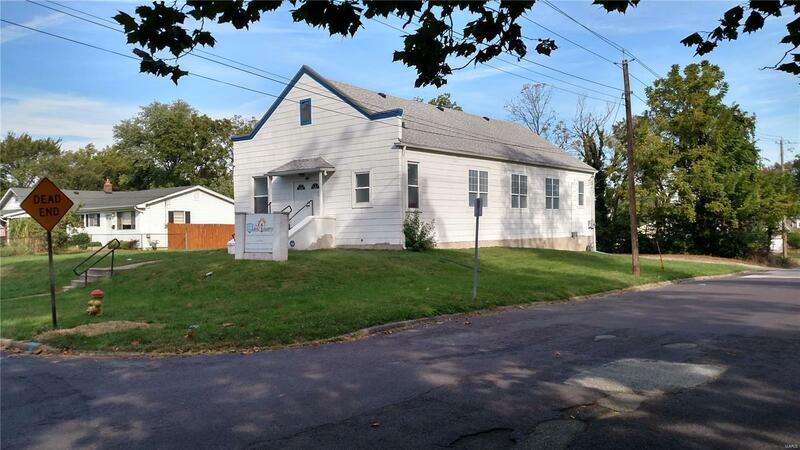 Charming 150 seat church with gravel parking lot in the City of Kirkwood. This property reminds me of a small country church. But don't let the modest exterior fool you, the entire interior was renovated in 2010. Boasting new A/C and furnace in 2010, New roof in 2012, and an entry ramp in 2010. Pew seating. Sanctuary has an Audio Visual (A/V) room with Audio wiring from pulpit to A/V room. The Lectern and communion table can stay upon request. Two Handicapped accessible restrooms. Two small offices. Unfinished partial basement has some built-in shelving, and could be finished for additional space. This church is just the right size with podium, built up choir stand, lots of front area for altar ministry and musicians. This is a must see church, call today. Perfect location for converting into a home. Large open area can be configured any way you want! Property sits on almost 1/3rd acre, beautiful corner lot that backs to trees.